For the instructors at Precision MMA martial arts is more than a hobby, it is a way of life. Head coach Brian McLaughlin started his training back in 1999 as a sophomore in high school. He began with Brazilian jiu-jitsu as a way to learn self-defense. He quickly became obsessed with jiu-jitsu training twice daily. He started his jiu-jitsu journey under black belt Fernando “Cabeca” Sarmento and Marco Delima. Fernando and Marco later relocated and Brian went on to train with Rob Kahn and Steve Kardian of Thornwood Jiu-jitsu. 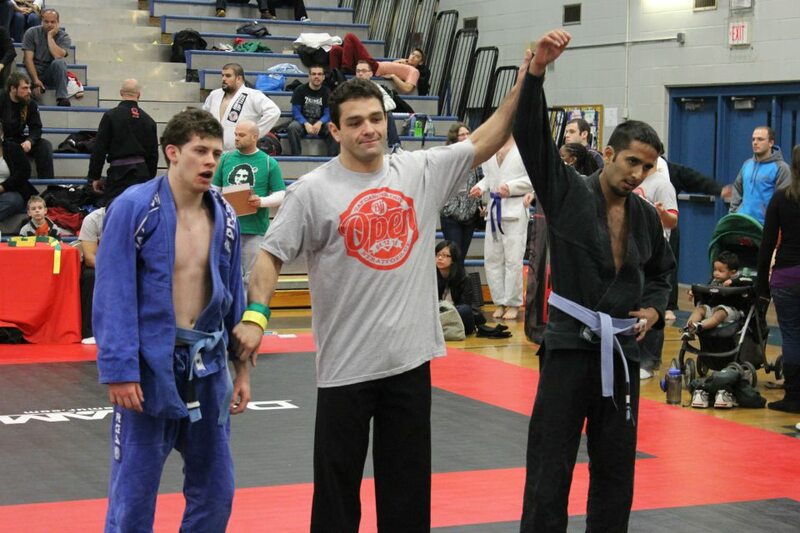 As he began gaining jiu-jitsu knowledge his desire to become a complete grappler grew and he began training wrestling under Olympian Dan Sanchez and Hudson Valley standouts Eric Amato and Ian Lindars and Judo under Dutch national team member Jerry Fokas. This unique combination of wrestling, judo and Brazilian Jiu-jitsu gives Brian a perspective on the art of grappling that few can rival. Around 2005 Brian met Kyokushin karate black belt, golden gloves veteran and muay thai fighter Shennen Maceo. Brian began training privately with sensei Maceo and sparring with the Tiger Schulmann professional fight team. 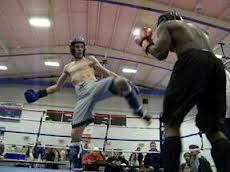 As he progressed he decided to pursue professional mixed martial arts competition. 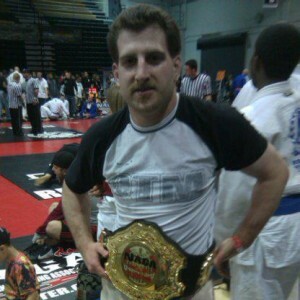 Brian quickly climbed the ranks, winning his first 5 fights by submission all in the first round. Brian continued his martial arts growth boxing at Demorest boxing where he became a student of one of the top amateur fighters in the region and now famed trainer Derrek Ohlhoff. Derrek refined Brian’s technique and had him sparring at many of the region’s toughest boxing gyms. 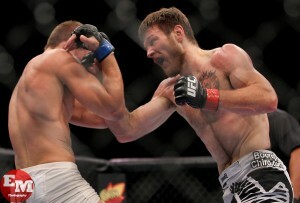 At this time Brian was invited to compete in the UFC’s tournament “The Ultimate Fighter”. 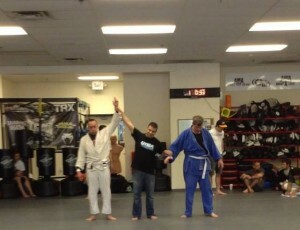 Brian was pitted against tough veteran and fellow jiu-jitsu expert Brandon Gardner. Brian dominated the fight and moved on in the competition. However, a post-fight medical exam revealed that he had suffered a broken nose in the fight and was deemed medically ineligible to continue. With his mixed martial arts career on hold Brian focused on furthering his accomplishments in the sport of grappling and Brazilian Jiu-jitsu. Brian earned submission victories against some of the toughest competitors in the world including Ryan Hall and Wilson Reis – both current starts in the UFC. Brian furthered his mixed martial arts training by joining the AMA Fight Club. Here he trained Jiu-jitsu under famed Renzo Gracie Black Belt Jamey Cruz and muay thai under the legendary Kaensak Sor Ploenjit, widely considered one of the best fighters of all time from muay thai’s golden era. At AMA Brian would have access to some of the best training partners in the world including former UFC champion Frankie Edgar, former WEC champion Jamie Varner and current Bellator world champion Marcoc Galvao. In 2009 Brian would return to MMA competition to fight former BJJ world champion Rene Nazare. The fight was a back and forth battle in which Brian suffered his first professional defeat via split decision. The fight was later voted Northeast Fight of the Year. Unfortunately, following this fight Brian would have many fights fall through at the last moment and the grind of training camps resulted in numerous injuries. Brian would fight twice more before deciding to walk away from the sport and focus his efforts on coaching. In 2004 Brian began teaching while still active as a competitor. Although always a passionate instructor, Brian’s efforts were divided as he was still fighting . Once he retired and put 100% of his efforts into teaching his gym grew exponentially. 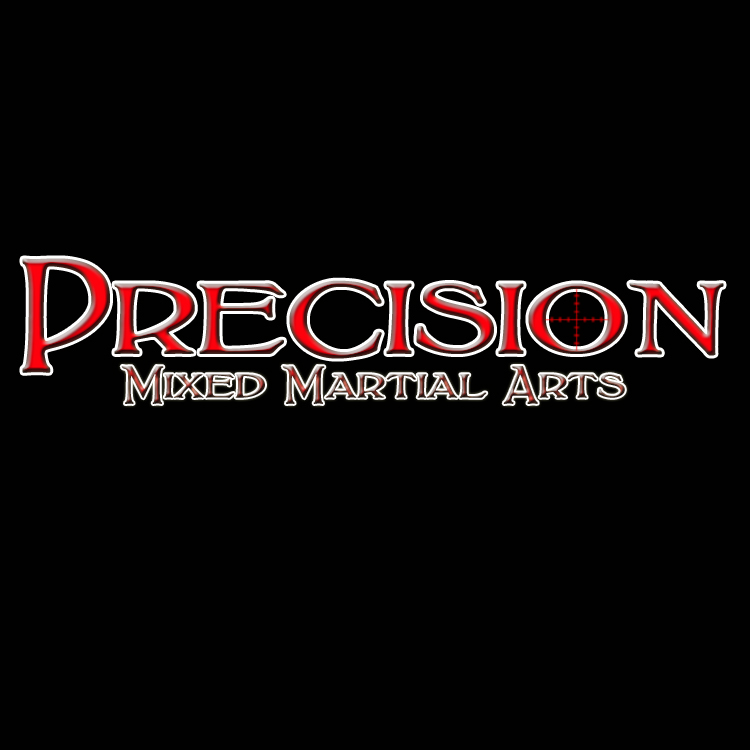 Today Precision Mixed Martial Arts boasts several hundred students and is home to multiple black belt instructors, as well as golden gloves, muay thai and mixed martial arts champions. 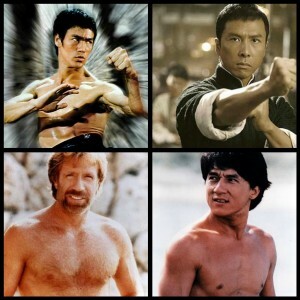 There are success stories of everyday men, women and children who have changed their lives through martial arts by learning to defend themselves, gaining discipline and focus, or regaining their health and fitness. In the realm of professional competition Brian is currently one of the most sought after coaches in the northeast. He has coached and cornered fighters such as Jim and Dan Miller to UFC victories as well as international champions such as King of Pancrase Andy Main. His coaching has brought him across the country and around the world – from Atlantic City and Las Vegas to Tokyo, Japan and Uberlandia, Brazil. 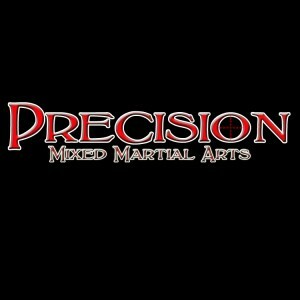 Precision Mixed Martial Arts in the Hudson Valley area of New York is an all-around Mixed Martial Arts’ school. Many dojos advertise themselves this way but few actually follow through with their claims of offering top notch instruction in more than one style. One popular type of dojo which has popped up in recent years is the Brazilian Jiu-Jitsu school which falsely claims to teach mixed martial arts. This phenomenon started after the first Ultimate Fighting Championship in 1993. When Royce Gracie and other Brazilian Jiu-Jitsu experts found they could have great success in Mixed Martial Arts competition BJJ schools started to pop up around the country like wildfire. With them came a number of schools claiming that not only could they teach authentic BJJ, but that they could teach people how to effectively use it in mixed martial arts. This claim is often false and most of the instructors who state that they can teach students this application have in fact never fought in any form of Mixed Martial Arts’ competition. At Precision Martial Arts in the Hudson Valley, our head instructor Brian McLaughlin is not only a BJJ black belt who offers excellent instruction in both Gi and No-gi Jiu-Jitsu classes, he also holds a Professional Martial Arts record of 6-2 and has used BJJ to win all his matches by submission. Because of these credentials, we know that our school is qualified not only to teach BJJ, but also to coach students who aspire to fight in Mixed Martial Arts competition, and we offer separate classes for Mixed Martial Arts tactics in particular. Don’t be fooled by schools who say they can offer this instruction when their teachers have never stepped into the ring or cage. Precision Mixed Martial Arts in the Hudson Valley also teaches a number of other styles, such as Boxing, Muay Thai Kickboxing, Wrestling and Judo. Our boxing classes taught by 3 time Golden Gloves champion Derrick Ohlhoff are particularly popular and we have produced quite a few successful boxers in the Hudson Valley area. Likewise, our head Muay Thai instructor Karl Nemeth is himself an AKBF Kickboxing champion with an undefeated record of 7-0, and he has also produced a number of excellent Muay Thai competitors. Our wrestling and Judo programs are particularly unique in that they are offered as a part of our Gi and No-gi Brazilian Jiu-Jitsu classes. For example, our advanced No-Gi BJJ classes have dual instructors in head coach Brian McLaughlin and D-1 wrestlers Rich McHale and Ian Lindars who switch off with teaching the wrestling portion of the class. This is a feature which most Jiu-Jitsu schools do not offer, and which gives us an edge on our competition. We have a similar practice in our Hudson Valley martial arts Gi-BJJ classes, which are taught by both head coach McLaughlin and expert black belt Judo instructor Jerry Fokas. This makes our Gi Jiu-Jitsu competitors a double threat in sport BJJ since we know how to perform standing trips and throws as well as Newaza. Don’t be fooled by Hudson Valley martial arts schools that make false advertisements concerning Mixed Martial Arts and multiple styles. Most schools would be better off focusing on offering quality instruction in one area before jumping on the MMA bandwagon. 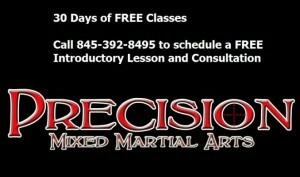 Our claims are legit, and you can come to Precision to train in any and all styles which pique your interest for a free 30 day trial period.